The National Security Agency forced out a civilian employee who unwittingly provided password access to former agency contractor Edward Snowden that he later used to obtain classified information he normally couldn’t access, according to an NSA memo. The memo was sent to members of Congress and reveals for the first time that a Snowden coworker was essentially tricked into giving up his password. Leaked classified documents show the U.S. National Security Agency and its British counterpart are among the "worst offenders" of mass surveillance without oversight, according to an open letter purportedly written by Edward Snowden and published Sunday by the German magazine Der Spiegel. The publication of the letter, titled "A Manifesto for the Truth," comes as leaks by the former NSA contract analyst have roiled U.S.-European relations amid allegations that the NSA and the UK's Government Communications Headquarters monitored the communication data of some world leaders. "The world has learned a lot in a short amount of time about irresponsibly operated security agencies and, at times, criminal surveillance programs. 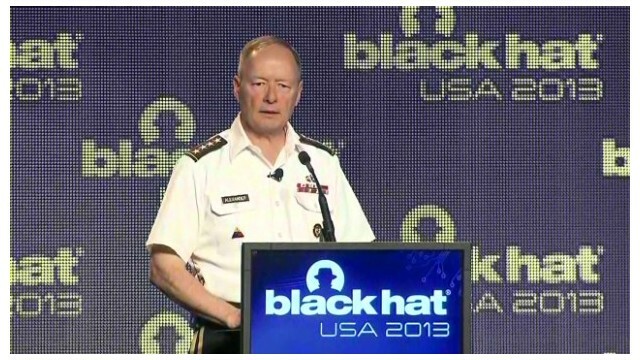 Sometimes the agencies try to avoid controls," Snowden wrote, according to the news magazine. "While the NSA and GCHQ (the British national security agency) appear to be the worst offenders - at least according to the documents that are currently public - we cannot forget that mass surveillance is a global problem and needs a global solution." In the wake of revelations the U.S. spied on some of its closest partners, the head of the National Security Agency said Thursday he thinks some relationships with allies are more important in the fight against terrorism than the gathering of intelligence. A week after reports the United States was spying on German Chancellor Angela Merkel and potentially 30 or more other heads of state, Gen. Keith Alexander said there may be more effective ways of gathering the intelligence Washington needs without jeopardizing crucial relationships with allies. The global uproar over the National Security Agency's surveillance programs is prompting Congress to begin making some legal changes. Most of the changes under way are focused on data collected on Americans, and little is expected to change in foreign intelligence collection. The Senate Intelligence Committee approved a bill Thursday to make some limited changes to the law that governs the NSA's surveillance activities, focusing mostly on the program that gathers so-called metadata on nearly every call made by American telephone company customers. The data include the number called, and the time and length of the call, and are gathered under Section 215 of the Patriot Act. The Obama administration declassified a new batch of National Security Agency documents on Monday, many of which deal with the effort to inform members of Congress about NSA programs that collect call data on nearly every U.S. telephone user. The documents released by Director of National Intelligence James Clapper date mostly to 2009, when the administration was pushing lawmakers to reauthorize sections of the Patriot Act that were set to expire. One document from 2011, notifies the House and Senate intelligence and judiciary committees, of the NSA's testing in 2010-11 of a program to collect cell phone tower data that could track mobile phone users. The NSA earlier this month acknowledged it tested such collection but discontinued it. A new legal opinion from the secret court that oversees the National Security Agency's surveillance program endorsed the government's collection of data on nearly every phone call made to and from the United States. The July legal opinion, after disclosures about the program by former NSA contractor Edward Snowden, extended the government's collection of records for another 90 days, as has been done repeatedly since 2006. The opinion by U.S. District Judge Claire Eagan, a 2001 appointee of President George W. Bush, was declassified on Tuesday, in part to respond to controversy over the Snowden disclosures. The Obama administration has declassified other opinions, in addition to those provided by Snowden to news organizations, that describe the program in past years. This is the first declassification of a current order. 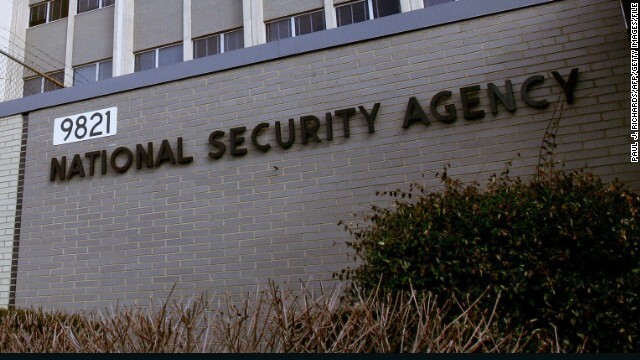 The revelation that the US National Security Agency (NSA) allows Israel to see raw intelligence data it gathers has angered privacy and civil liberties activists, but surprised few security analysts. The agreement was disclosed by the Guardian newspaper Wednesday, based on documents leaked by Edward Snowden, the former NSA contractor who has provided the newspaper with reams of classified information. An undated Memorandum of Understanding between the US and Israel sets out the ground-rules by which the NSA 'routinely' provides raw intelligence data to the Israelis. It defines raw ‘Sigint’ as including “unevaluated and unminimized transcripts, gists, facsimiles, telex, voice and Digital Network Intelligence metadata and content." The Memorandum includes provisions designed to protect the privacy of Americans whose data might be shared with the Israeli SIGINT National Unit (ISNU). It opens with a preamble that the sharing of information must be “consistent with the requirements placed upon NSA by US law and Executive Order to establish safeguards protecting the rights of US persons under the Fourth Amendment” of the US Constitution guaranteeing individual privacy. The Obama administration released two documents on Friday describing the scope of National Security Agency data collection programs, a bid to quiet criticism they violate privacy rights. An NSA memorandum describes the beginnings of the agency's collection of so-called telephone metadata of nearly every American under a provision of the Patriot Act, and the agency's monitoring of foreign Internet traffic. The agency says in the memo that its systems monitor 1.6% of the world's Internet traffic, and its analysts review .00004% of global traffic. Published accounts drawn from leaked documents provided by admitted NSA leaker Edward Snowden have portrayed a much broader eavesdropping system under section 702 of the Patriot Act. Another document from the Justice Department describes the legal basis for collecting the telephone metadata, such as the numbers dialed, the length and time of the calls. The government says the NSA phone data collection operated under court supervision, and that the database is only accessed for specific searches in counterterrorism investigations.